COMPANY PROFILE Aflac Inc is a general business holding company and acts as a management company. It offers supplemental health and life insurance in the U.S. and Japan. Aflac offers supplemental health insurance and life insurance in the two largest insurance markets in the world, the U.S. and Japan. In addition to its cancer policies, the company has broadened its product offerings to include accident, disability, and long-term-care insurance. It markets its products through independent distributors, selling most of its policies directly to consumers at their places of work. 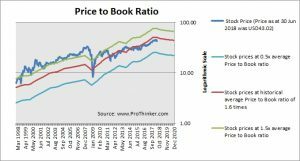 When a company’s Return on Equity (ROE) declines, it will not command the same Price to Book Flows ratios as before and they will have to be adjusted downwards. At the price of USD43.02 as at 30 Jun 2018, Aflac Inc is trading at a Price to Book Ratio of 1.4 times current book value. 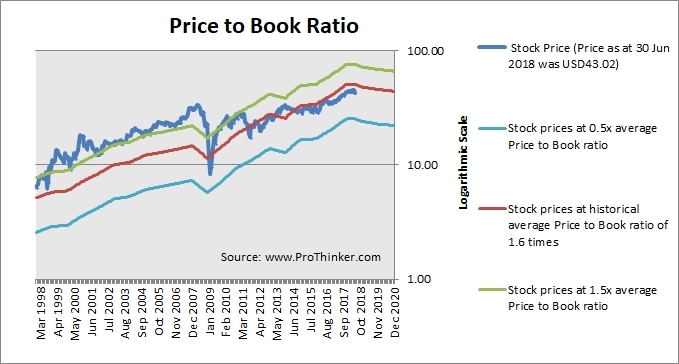 This is a 4% discount to its historical average Price to Book Ratio of 1.6 times.